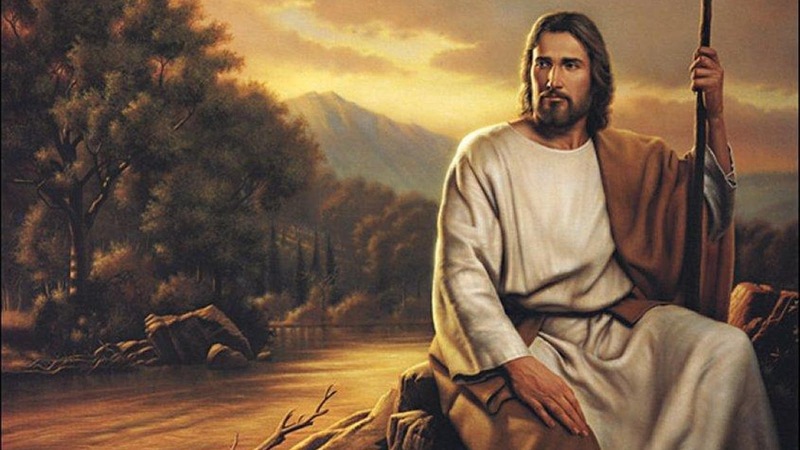 You are at:Home»Articles»Who Is The Jesus of Today? There is a mental sickness – a spiritual darkness, if you will – that has engulfed the entire world. There is also an insistence by the religious system called by men, Christianity, to disobey and defy the Creator of the heavens and the earth. That sickeness has caused a dimming of the eye and of ones perceptive powers. Thus, the truth cannot be seen through dimmed eyes. There is a man that the world at large calls Jesus. Each and every denomination within Christendom speak of him. They speak of him as the Christ (Messiah). They speak of him as The Word of God, The Son of God, The Son of Man, Savior; and, some even say that he is God. We see images of him in art, film and literature as a long-haired and – oftentimes – a blue-eyed White man. We see images of him in the sky portrayed as a White man with outstretched arms, the benefactor and savior of all of the world. But wait a minute, now! Jesus spoke these words more than 2000 years ago. Jesus spoke of false Messiahs (false Christs) and false prophets that would be a part of the human experience that they would perform great signs and wonders that would deceive even his chosen ones; that is, the ones Christ himself choses – Apostles. Note: Do not confuse Apostles with Disciples. An Apostle is someone that Christ himself chooses to follow him; he will be their teacher. While Christ initially chose 12, there would be many more he would chose in future days. A Disciple is someone who themselves chooses to follow Christ. Christ does not call them. They hear his teachings and then respond to be his disciples. None of Christs Apostles were first taught by him and THEN they became his followers. They acted out of faith. Jesus said follow me and they did. A Disciple will have heard Christs teachings first and then they chose to follow Christ. Disciples are not chosen ones. At Matthew 24:23-24 many people focus on the false prophet part. They pay little attention to the False Christs part. A False Christ does not have to be a literal flesh and blood person. Anyone knowing Christs teachings know that the world will never see him again. Even Jesus’ elect (the chosen Apostles) understood that they would not see Christ again with the physical eye, but would see him in a different sense; with spiritual eyes, with perception, with eyes of faith. They would know that one walks by faith and not by sight. Yet, False Christs would even attempt to deceive the chosen ones who see not with the physical eye, but with eyes of faith. This is worth some serious sit-down throught and examination. If the chosen ones of Christ would also be the targets of deception by False Christs and they know that Chist is no longer flesh and blood (but is an invisible spirit being), they would not fall for a literal flesh and blood Christ as many in the world still think The Son of God is. The False Christs that would appear and perform great signs and wonders would not be something real. It would be a symbol or something that falsely represents Christ. What can that be? Look at the image below and honestly ask yourself who this person is. Many would unhesitatingly say that this person is Jesus Christ. I would say – unhesitatingly – that this is not Jesus Christ. This is a false portrayal, a false image of Jesus Christ that has been pushed on to the world. It is a False Christ! This image is so powerful that millions upon millions of persons have it displayed on the walls in their homes, in their places of worship, in their wallets and purses, and as I stated earlier, in art, film and literature. Even The Motion Picture Industry portrays The Son of God, The Christ in this likeness. This false image has influence over the lives of millions. It has produced this great sign (influence over people and nations) and wonders on the earth. Who is the truth? At John 14:6 Jesus said that he himself is the truth. So worship of the invisible Father, must be in Christ himself. That is, in the truth of Christs teachings! But what of Christs substance today? Is he flesh and blood? Is he a man? The true Christ today is invisible. He ascended into heaven more than 2000 years ago back to the place from which he was sent. The true Christ is not someone who can be seen with the physical eye as he is a Spirit just like his Father in heaven. There is no flesh and blood in heaven. Thus, any visible image we see of Christ today is a false Christ. Yes, the world has been deceived in a bad way. 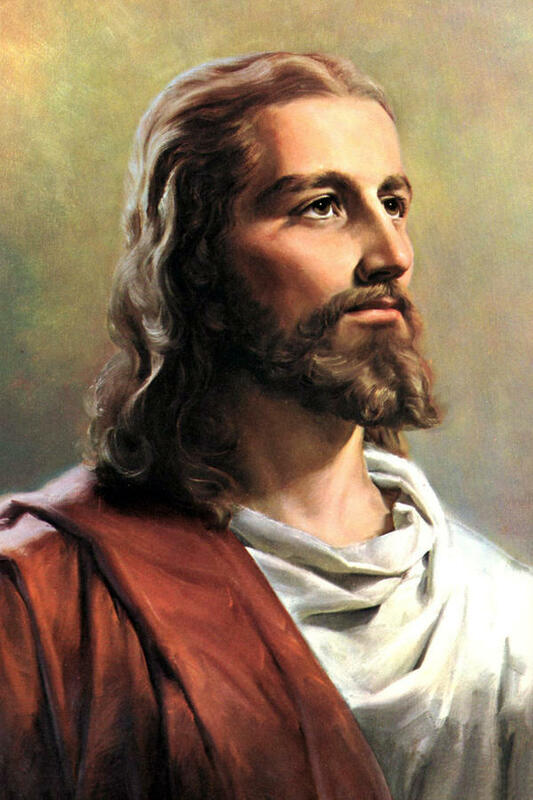 Besides, no one has seen Christ to portray him in any human likeness. I tell you another truth; and this is based on 1 Cor 15:50 quoted above: If God’ s kingdom will one day come down to the earth (Matthew 6:9-10) and if flesh and blood cannot inherit that kingdom, what does that tell us about human flesh and blood life residing on the earth? There will be no flesh and blood life on earth. We will all be changed into another form to fit into that kingdom of God promised to come down to the earth and reside forever on it. So, the idea of flesh and blood people living on the earth forever is not something Jesus taught. We will be much different than we are now. One cannot imagine it! But we will be alive and happy beyond all imagination. The expression man does not necessarily mean a flesh and blood being. Man is much more! A little lower than the angels? Wow! We have no idea what we will become in the future. The rabbit hole of deception is great in the world and the religious system has a very tight hold on the masses. It will be difficult for this truth about Christ to shine through. Previous ArticleWill Anyone Be Alive When Jesus Returns? I was in a car accident at age 11, and I really didn't want to believe in Christ like that, at that time. After my accident I was convicted. Age 19 now I feel like my whole life I've been trying to understand what Fid wants me to do, and what my purpose is for this life. I say I am a disciple, because I didn't want to call myself a Christian. I forfeited my relationship with the religious otganization of Christianity. Am I a disciple or an apostle. Where the apostles already picked. If so is my not being chosen meaning I am not one to teach and learn. It is important how God and Christ defines us, not men and their organizations. I reject the titles men and their organizations LOVE to place upon me (and others) simply because I am no longer in them or do not believe as they want me to. I reject titles such as apostate. Neither to I accept the fancy titles men and religious organizations have created. Thus, i do not accept the titles of Christian, Catholic, Seventh Day Adventist, Jehovah’s Witnesses, etc because neither did God or Christ command such. You do well do reject the titles men place upon you. Worship God, not men. (Don’t worry about what people think about you).